In a tweet early Thursday morning, President Trump thanked North Korean leader Kim Jong-un for “sending home the remains of our great and beloved missing fallen” and heaped praise on the brutal dictator. “l look forward to seeing you soon!” Trump wrote. The process for identifying the remains is long, which will allow Trump to brag about how he succeeded in getting Kim to return the bones regardless of whom they belong to. Trump’s praise for Kim and his suggestion that a second meeting is in the offing comes just as arms control experts are warning that the country is still producing ballistic missiles. 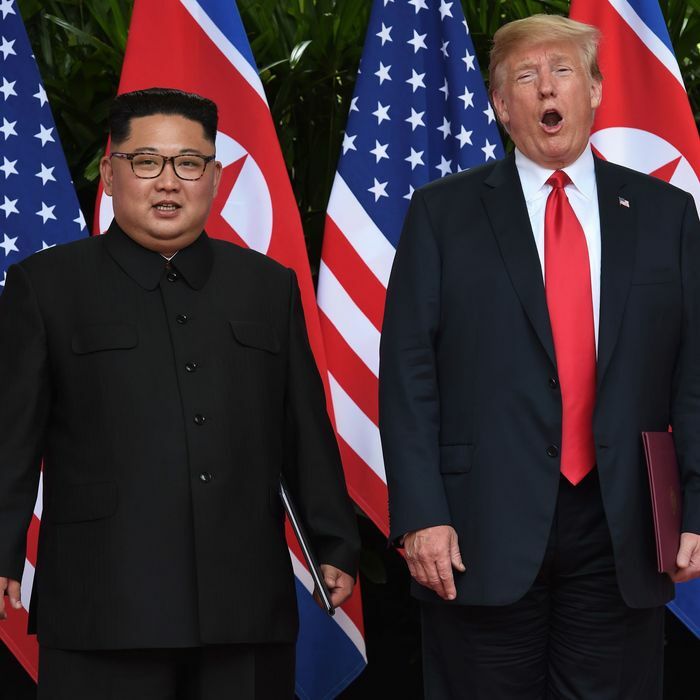 Evidence of its continued work is shown in satellite photos, which indicate that Pyongyang is working on “at least one and possibly two liquid-fueled ICBMs at a large research facility in Sanumdong,” the Washington Post reports. It’s not clear which “nice letter” Trump is referring to in the tweet, but Kim did send him a note in July that mentioned a second meeting. Several locations for such a meeting have been kicked around since the men got together for the first time. Among the possibilities are the White House and New York City.